I have loved pearls since I was very very young. I think I got that from my mom. Growing up and even until now, I always see my mom in pearls, always. She has her fair share of diamonds, silver and gold, but pearls have a special place in her heart and naturally, mine as well. In fact, I wore pearl earrings everyday of my life back in high school until I graduated college. For me, pearls are the classy girl’s go-to accessory. Look at Audrey Hepburn! If you’re a pearls over diamonds type of girl, or you’re simply looking to add a classic piece to your collection, then you’ll love my giveaway from Rebecca & Penelope. Rebecca & Penelope is a brand of designer jewelry based in England. They produce exceptionally high quality pieces using cultured pearls that are chosen pearl by pearl to match color, luster, shape and size, and strung with the best silk thread. All pieces are hand made by traditionally trained silversmiths and other artisans in England. Like Rebecca & Penelope on Facebook. 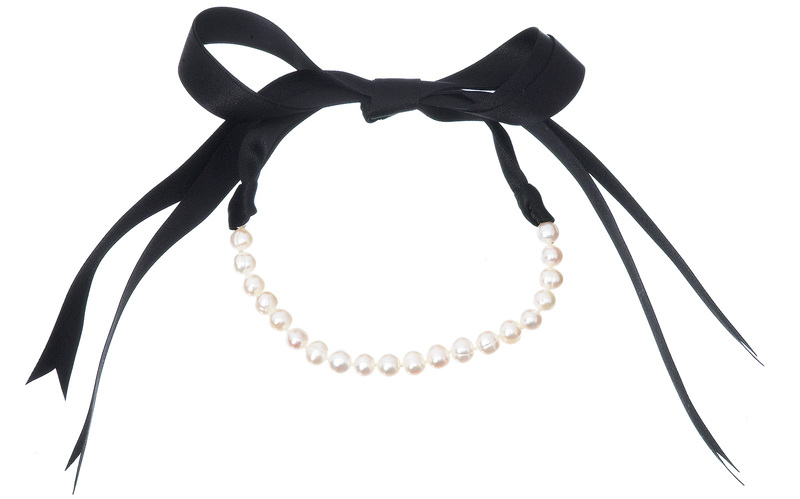 Make this your Facebook status and tweet it too: “I want to win designer pearls from Rebecca & Penelope on www.itscamilleco.com ! I hope I win! #ItsCamilleCoGiveaways” Please do tag Rebecca & Penelope when you post your Facebook status but please no need to tag me (on both Facebook and Twitter). This is an international giveaway so everyone can join! Deadline for entries is on September 1, 2013 at 11:59PM (GMT +8). I will be choosing the winner via Random.org and announcing it here at the comments section below. Please be reminded to submit one entry only. No multiple entries please. ms.camille i can’t send you a direct message in twitter. because you are not following me..
i love pearl so much…. Hi, love this necklace ! Sorry my username sounds like a kid, it’s my group of friends thing. These pearls are just so glamourous and elegant at the same time!